Ellen Ofstad comes from Norway. She has worked as a trainer and instructor full time since 1984 all over the world. She is constantly expanding her knowledge of horses and studying horses behavior and training methods. 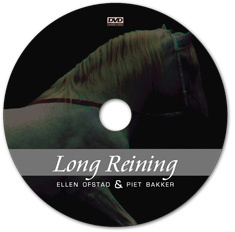 Piet Bakker comes from Holland where he had a classical riding school for over 40 years. 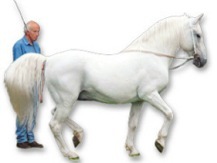 He is well known in the classical dressage scene in central Europe. The movie is produced by Gunnar Martinsen (Ellens husband) together with Ellen. 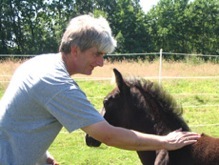 Gunnar is a farrier and runs the farm in Sweden in addition producing films. The cover is made by Ivo Bakker, Piets son. 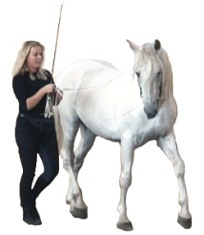 This film shows how to work the horse in Long Reins. This way of working horses is mostly known from the Spanish Riding School of Wien. The movie shows how to get started step by step from the very first preparation and up to more advanced moves. 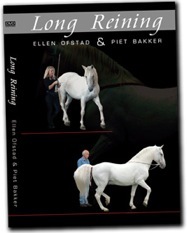 Long reining is a great way to educate horses. It´s especially useful for horses that can´t be ridden, but still needs to move. For instance horses with backproblems, overweight, pregnant, too small etc.